Here’s one of my latest personal shots it’s a scene depicting Idlewild airport in 1961, now known as JFK. The idea came about after I found a folder with the Pan AM ticket in it whilst helping to clear my wife’s grandma’s house last year, after she had sadly passed away. 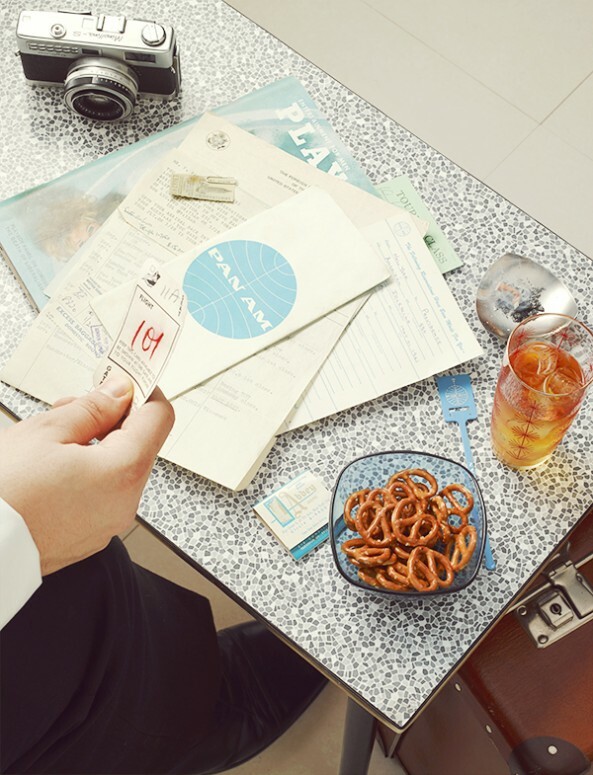 Caroline’s Grandfather had taken a business trip to the states in 1961 and had kept everything from the trip, from the letters to and from the travel agent, to the match books and drinks stirrers from all the bars and hotels he visited. I love the fact that the trip was such a rare and exciting event that he kept all the momentos from the trip. I even found a ticket from a visit to the empire states building (see if you can spot it in the shot) it’s a stark contrast to the disposable and online way we live our lives now.